familiar patterns that keep coming up in coding problems. After zooming in on the nuts and bolts and syntax of Java coding it’s a help to zoom out and see ways of extending it to bigger problems. A design pattern is a standard solution to a class of problems, but the solution is a little too complex to stomp out with a single class or a code generator. People, however, can generate the standard solutions after having seen a few example solutions. Humans have some magical ability to pull out the common abstraction, even when they can’t understand how they do it and can’ reformulate the abstraction into concrete general purpose code. Abstract Factory, Builder, Factory Method, Prototype, Essence, Singleton. : Adapter, Bridge, Composite, Decorator, Facade, Flyweight, lazy initialisation, Object Pool, Prototype, Proxy, Rôle. Chain of Responsibility, Command, Interpreter, Iterator, Mediator, Memento, Observer, Single Serving Visitor, State, Strategy, Template Method and Visitor. Swing keeps data models separate from the GUI (Graphic User Interface) display part. Various schemes for dealing with large numbers of parameters. Includes 23 Gang of Four patterns. 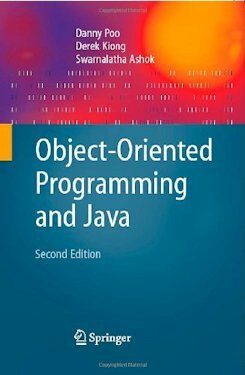 Unfortunately the book contains typos and errors in the examples. 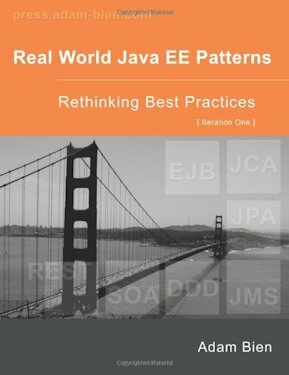 Through real world projects, this book shows how to develop and maintain Java EE 5 and Java EE 6 applications. 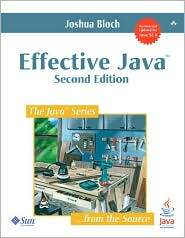 A more accessible book, partly because the examples are all in Java and partly because he has less invested in persuading you how important and brilliant their discoveries are. Presents patterns in a visually hip way using Java. Highly recommended book, more useful than the academic and dry gang of four. 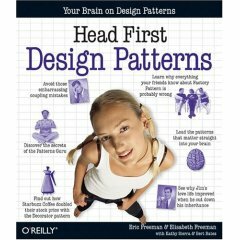 Design patterns to use in EE. Techniques for conserving RAM in embedded systems and handheld devices. Much of this is the techniques used in the early computers with limited RAM. It’s not about the patterns people usually talk about (design, architecture etc) but about low-level coding patterns and good practices. Discusses how reorganising code into standard patterns makes it easier to maintain. Highly recommended. Practical before and after examples of cleaning up stinking code. 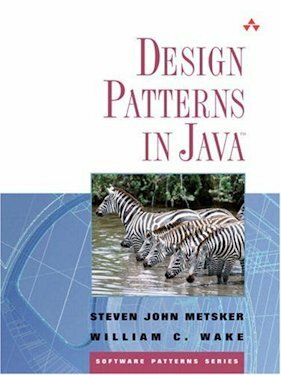 A more general book, but does a better job of explaining how Java interfaces can be used to create better design patterns. Good at describing how to break problems down into an OO solution without any regards to implementation. Great book for arguing for easier-to-maintain architectures. The publisher is Addison Wesley. Sometimes called the gang of four book They define design patterns as: descriptions of communicating objects and classes that are customised to solve a general design problem in a particular context. A design pattern names, abstracts and identifies the key aspects of a common design structure that make it useful for creating a reusable object-oriented design. The design pattern identifies the participating classes and instances, their rôle s and collaborations and the distribution of responsibilities. Easy to wrap your mind around, eh? Design Pattern people are in love with the power of abstraction and generality. You might even say they prefer to impress rather than inform. However, somehow you are going to have to learn this stuff, even if only to get into the heads of the guys who designed the AWT and Swing. 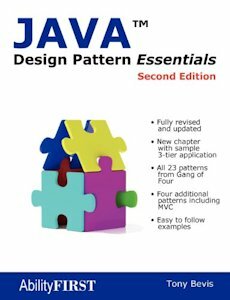 Try starting with the code samples in this Design Patterns book.